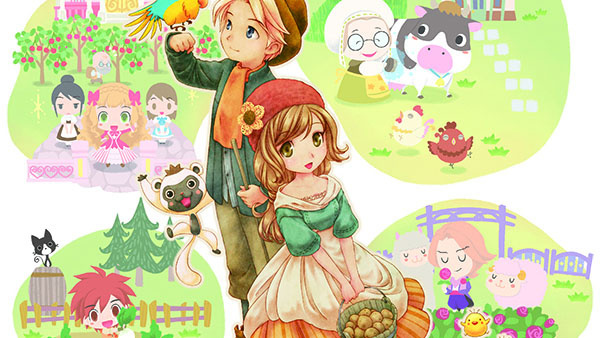 We quite liked Marvelous' Story of Seasons when we reviewed it earlier this year. Our resident farming simulation expert Ron DelVillano said: "the charming characters and satisfying gameplay make this a game worth any Harvest Moon fan's time. If you're looking to start a relaxing new virtual life full of charm and charisma, look no further than Story of Seasons." and awarded it a serviceable 7/10. Harvest Moon fans in Europe have been left feeling a little bit disappointed that Marvelous' European arm hasn't announced a release in that territory. However, in a recent tweet Nintendo of Europe announced they would be doing the honours of publishing this time and confirmed a Q1 2016 release for Europe. Whether or not translations will be added to support non-English languages remains to be seen, but for Harvest Moon fans this is good news indeed. Lets just hope that its not another SMT IV. Other then that, im really looking forward to this. I hope that they will find back to their old greatness and stop experimenting with the formular. Doesn't XSEED also publish in Europe now? @TheWPCTraveler XSEED are Marvelous. XSEED is the American arm of Marvelous, whilst it's still just Marvelous in Europe. This game is great, though be warn that the game purposely slows progress making it take forever to get some stuff unlocked... things such as getting a pet dog, other vendors and such. Well I'm not going to complain about more 3DS games. I think it will be fun. Im buzzing about this , as i have read the wiki page on this game and it sounds great. Excellent. Was resigned to missing out.